When you’re selling your house, the key to a successful open for inspection is to make potential buyers feel comfortable. You want to show your property’s best side, and allow people to see themselves living in their new home. We’ve put together some handy tips to help increase your property’s attractiveness on inspection day. Potential buyers will be inspecting your house from the moment it’s listed. They’ll drive by to check out the neighbourhood and see how things look from the outside – so this is the moment to make a good first impression. Tidy the front garden, keep the verandah clear, hide the garbage bins and remove junk mail from your letterbox. You can add planters with colourful flowers to the verandah if you don’t already have them. Remember to keep the external lights on at night, and make sure the front of the house – the face it presents to the world – is clean, freshly painted and well maintained: no sagging gutters, clogged downpipes or broken external blinds and shutters. Your house needs to sparkle and shine in every room (including the kitchen). Keep the sink clear of dirty dishes, put fresh (or even new) towels in the bathroom, make the beds and polish all tabletops, dressers and bureaus. It can help to empty the dishwasher and keep the fridge clean and orderly – potential buyers might look in there, too. Put away anything that isn’t essential to everyday living; take piles of magazines off the coffee table, clear away mail from the sideboard or wherever you keep it, and organise desks and tabletops. 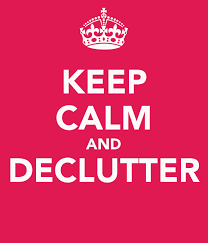 Also remove knick-knacks and other personal items that might be on display, although don’t strip the place bare. It still needs to look like someone’s home. The purple beanbag? The kitsch op-shop vases? Your furniture says a lot about you, but too much personality can crowd out a potential buyer, so put the really ‘you’ items away during inspections. Buyers need room to project their own personalities onto your home. Swap dark, heavy window coverings for lighter blinds and curtains, and open them up to let natural light in. Also, consider repainting darker rooms in light, neutral colours. Give your house a good airing before each open for inspection. Smells that you might not even notice, from cooking, pets or smoking, for instance, can be quite off-putting for others. People can be sensitive to all types of smells, so while subtle floral or oil diffuser aromas are good, don’t overdo it with the ‘nice’ scents, either. The aromas of baking bread and freshly brewed coffee are attractive and homely – but are hard to organise if you’re not around. Buyers needs to feel like the home is almost theirs – having the current owners hanging around can make them feel like they’re intruding. It may also discourage people from telling the agent what they really think about the home – an important source of market intelligence. Oh – and take the dog with you. Not everyone likes pets, some people are scared of dogs, and a roaming pooch will get in the way. Presenting your property in the best possible light can improve your chances of a sale. With a bit of preparation, some elbow grease and attention to the finer details, your home will be ready to make its best impression on potential buyers.